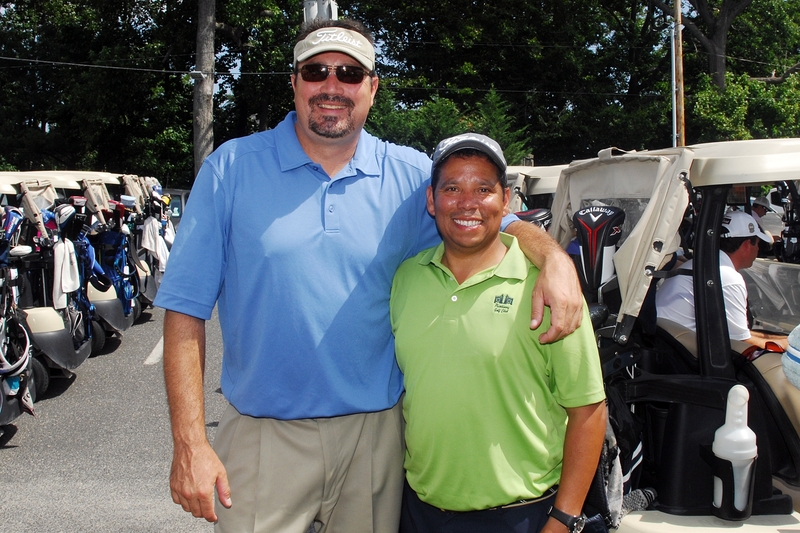 Newton Colon has been serving at Picatinny Golf Club in Union, New Jersey since 2014. Newton, who previously served at other facilities such as Galloping Hill and Ash Brook, was selected as the first assistant professional spotlighted for the 2018 season. See our Q and A below to see the goals Newton has set and what he is preparing to do for the upcoming season. How long have you been serving at Picatinny, and what interested you in choosing to be a golf professional? I have been at the US military facility Picatinny Golf Club since 2014. I came to the game of golf for recreation only 12 years ago. However, I discovered an unknown passion for the sport. As I practiced and played, studied and observed, it was obvious to me that my love of both golf and people was a magical fit. How were you introduced to the game of golf? My introduction to the game came from television and the tournaments of great interest, like The Masters. Then a buddy placed a club in my hand and I discovered driving ranges and local county courses on which to practice and play. Was there anyone that influenced you or has served a role model? Peter Busch was the PGA Professional that gave me the opportunity to enter the New Jersey golf industry. He gave me a job. The door was opened. Who is the most influential person within the industry who has impacted your career the most? Bill Castner has been the most influential person in my career. I was gifted by family, a set of lessons with Bill. He is an outstanding teacher and will always provide information or details with any golf question. Are you working toward any further certifications besides your class A PGA membership? I became a US citizen in 2005. English is my second language. Working on becoming a Class A PGA member is all consuming and my sole current focus. Coming from a country that does not have US educational standards the magnitude of achieving Class A status leaves a small portion of free time. I continue to practice, play tournaments and am mindful of physical fitness. As an employee on a military base, everyone is required by US law to complete and pass 3-5 quarterly Army protocol tests. What golf professionals have you taken lessons from, and how have they helped you? The basic fundamental of the golf swing, Bill Castner. Advanced video analysis, Jason Carbone. Putting stroke, Paul Lejeune and Brian Mackey. Short game, No one person influenced my short game. My methodology is mainly the result of playing experience in New Jersey Section tournaments. How has golf impacted your life in a positive way? The impact golf has on my life is almost too enormous to comprehend. I meet many wonderful people. I visit outstanding courses. I teach to kindred golfers and coax people to get involved in this lifetime sport. The game has dignity but is completive and fun. It challenges the mind and body. It gave me, a new citizen to this wonderful country, a place to feel useful, respected and somewhere to show the love I have for the game of golf. Finish my PGA level 3. Run successful Picatinny golf programs. Provide the best customer service to all military branches, golf members and their guests. Magnify Picatinny internal events such as Weekend Games, Assistant Qualifying Pro Am, Friday 9-holes, Junior and Adult teaching programs, etc. Maintain golf pro shop according to Army regulation. Finish in the Top 20 of the New Jersey PGA Assistant of the Year Points List. Qualify for the 2018 NJSGA Open Championship. I will complete the PGA level and become a PGA Class A professional. New Jersey is a very diverse state and there are many people, young and not so young, who should be able to experience golf.